At San Fernando Dental Care we help patients achieve healthy smiles that are both beautiful and properly aligned. Our reliable orthodontist, Dr. Eric Wu, has extensive experience with a variety of alignment issues and prides himself on a gentle approach to oral healthcare. Whether minor gaps compromise your smile or you need an improved bite, Dr. Wu outlines treatment plans with your aesthetic goals and health in mind. 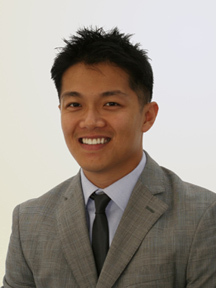 To schedule your orthodontic consultation, call Dr. Wu at San Fernando Dental Care today! When your smile is properly aligned your overall health is better preserved. Issues such as gaps or crooked teeth can impact your health in subtle ways, so it’s best to take a proactive approach if potential issues are on the horizon. At San Fernando Dental Care Dr. Wu offers both traditional metal braces and Invisalign® clear braces, depending on which option suits your treatment goals. Dr. Wu performs a thorough exam during consultations, complete with digital x-rays and intraoral cameras to gain a detailed understanding of your oral anatomy. Once he fully assesses the condition of your smile, Dr. Wu outlines an effective treatment plan that prioritizes your health and comfort. Each plan is uniquely customized because no two patients are alike. For those better suited for metal braces, we offer a few variations beyond traditional measures. Our younger patients may prefer multicolored brackets so their treatment agrees with their visual preferences. Dr. Wu also offers self-litigating braces, which do not require the additional use of rubber bands to further guide alignment. Dr. Wu uses special brackets on the archwire to move your teeth into the desired position. For teens and adults who prefer a discreet alternative to traditional orthodontic options, we also offer Invisalign® clear braces in San Fernando. Patients can remove these clear aligners before meals and daily cleaning routines but should wear them at least 22 hours a day. For our older patients, we often suggest teeth whitening solutions, which they can apply directly to their trays providing you a combination of benefits. In addition to offering orthodontic appliances, Dr. Wu can also perform orthognathic surgery. This procedure, which involves restoring proper alignment to the jaw, works in conjunction with appliance therapy. This procedure also helps patients who have complications such as open bites and protruding or receding lower jaws. If alignment issues compromise your ability to speak or chew, you should consider orthodontic intervention. At San Fernando Dental Care, Dr. Wu helps patients achieve the healthy smile they deserve by offering personalized counsel and outlining effective treatment plans. To schedule your consultation for orthodontic service in San Fernando, call our office today!